Today, mobile strategies are playing a predominant role in every business unit, region, and department. While there are high hopes for value creation, there are also mounting fears that mobile strategy if incorrectly executed could quickly descend into chaos, security being the primary concern. “Given that mobile apps are consumed on-the-go, it needs to be more user-centric rather than function-centric,” reveals Shrini "Chris" Keskar, Co-founder, Innoflexion Technologies. He continues, “Not all organizations today are equipped to apply design thinking principles to understand the end user expectation and environment before going down the path of building a mobile app.” Innoflexion Technologies is a company that combines its deep expertise in digital transformation to enable businesses improvise their existing systems and design innovative solutions to help businesses grow. Innoflexion develops apps in the consumer space and understands the dynamics of user engagement. “We know the sweet spot of both the enterprise and consumer-centric market and help clients bring in the best practices of app design and development from the consumer world to the enterprise space,” says Keskar. For Mobile-first approach to succeed, enterprises need to embrace a real transformation, not just in the way the applications are built but on how customers and organization need to adopt them and change the way business is done. Innoflexion helps businesses determine their vision, architect a complete mobile strategy, develop, test and support custom mobile apps cost-effectively. “We leverage the lean methodology that have been successfully tried and tested in the startup world and adapt the same to mobile projects in enterprise environment,” states Keskar. “We consistently follow methodologies that foster faster time to market, maximize ROI and lower total cost of ownership during our process of building mobile products.” The company engages native and hybrid application to build mobile platforms. “Our expert engineers weigh both hybrid and native options and customer considerations to help make the architectural decision right at the beginning of the scoping exercise,” he adds. Besides mobile app development, Innoflexion also offers mobile app testing, monitoring solution, and mobile analytics. “While mobility is implemented, our comprehensive technology solution around UX, analytics, big data, business strategy and compliance consulting are the core pieces and key success factors,” says Keskar. “We are all passionate about solving problems. We are not afraid to think unconventional; at the same time, we believe listening closely to the customers’ challenges is essential for success,” claims Keskar. For instance, Innoflexion helped Commonwealth of Kentucky who wanted to enhance its mobile strategy to offer some of its services via mobile. 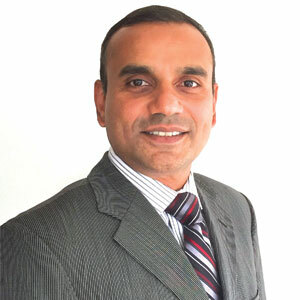 Innoflexion leveraged its experience on agile product engineering, cloud, payment card industry expertise to design and develop a highly modular application. It helped in successfully delivering citizen-ready Android and iOS apps for cabinet’s review and approval. Additionally, the app simplified processes and helped cross functional team to successfully adopt agile and align to software release train. Guided by philosophy of integrity, positive attitude, and strong commitment to make a difference in every aspect of the business, Innoflexion plans to launch a new mobile platform that would bring gamification to fund raising for non-profits. “We are also in the process of developing a product to manage governance, risk and compliance in the commodities trading space,” concludes Keskar.